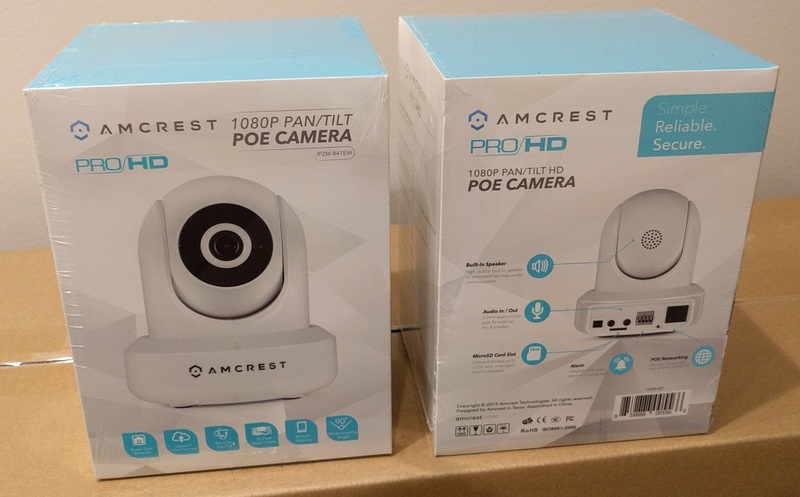 The Amcrest IP2M-841 ProHD and the Foscam R2 are both great choices for an indoor 1080p pan-tilt camera. Both cost much less than other popular quality cameras like the Nest cameras that I discuss in this article here. Both of these are definitely higher quality in many ways than the cheaper models from other manufacturers that they directly compete with. Keep reading to see how these two cameras compare against each other, and which one is my top pick. Here is a quick comparison of the main specs of the two cameras. One thing I found when making this chart is that it's often difficult to get the exact same set of specs from two different manufacturers. For example, Amcrest doesn't list the exact amount of pan and tilt travel but Foscam does, and Foscam doesn't state how many IR LEDs are used but Amcrest does, etc. Both of these cameras use 2 megapixel image sensors and record 1080p (1920 x 1080) video at up to 30 frames per second. Following the specs it looks like the image sensor on the Amcrest is a bit larger than the standard 1/3" used on the Foscam. Foscam states that they use an Ambarella chipset and Amcrest doesn't really specify what they use. The Amcrest uses a 4 mm lens giving it a nice 90° field of view, where the Foscam uses a 2.8 mm lens giving it a wider 110° field of view. I prefer the 4 mm lens for most applications like this, especially since it's in a pan-tilt camera, but you may prefer the wider field of view depending on your planned use. This is what really sets these apart from the common fixed cameras, these cameras have stepper motors that can move the camera lens in two axis of travel. With the camera's app you can remotely pan the camera left to right to cover practically the entire area around the camera, as well as tilt the camera lens up and down as required to cover a particular area of interest. Both of these cameras seem to have the same basic functionality in this area. Both cameras also have digital zoom capabilities which I feel are pretty much useless on most any camera, since all it does is make things larger and grainier. The only real zoom is an optical zoom like you would find on a typically more expensive varifocal or true PTZ camera. Both of these cameras can see in complete darkness thanks to their built-in infrared LEDs that automatically switch on when ambient light levels fall below a set point. The Amcrest uses 12 LEDs with a usable distance of 32 feet, where Foscam doesn't state how many and says it's only good out to 26 feet. Both sound fine for most common indoor home uses that I can think of. Once again comparing the specs, Foscam states that they use an IR cut filter and the IR lights can be manually controlled as well as automatic, and Amcrest doesn't really talk about these features. Both cameras can record video to an optional internal microSD card, either continuously or only when motion is detected. The Amcrest officially supports cards up to 64 GB but many users report that 128 GB cards work just fine. The Foscam does officially support cards up to 128 GB. One thing to keep in mind is that many of the inexpensive microSD cards are not designed to handle continuous video recording and may wear out and fail in this application. I have used the cheap cards and they do work but I've also seen two of them fail. Better cards designed for video recording cost a little more but are worth it in my opinion. 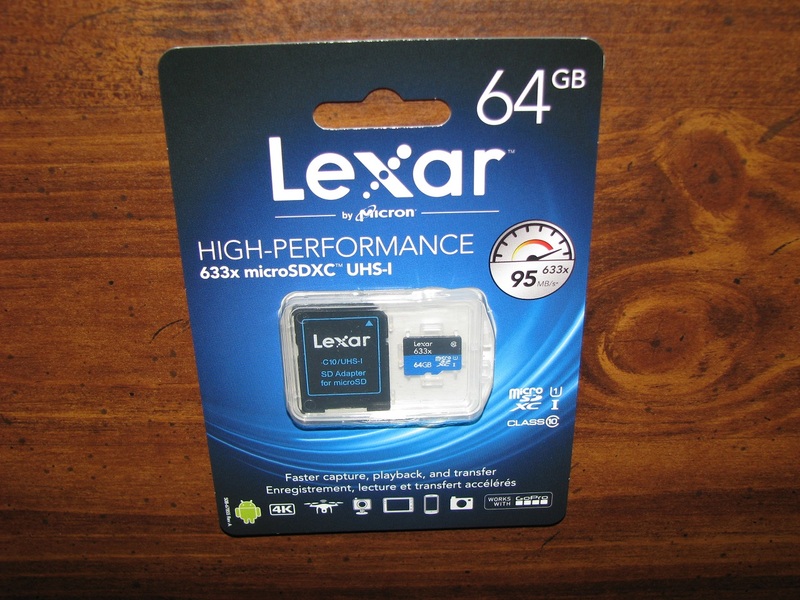 Some examples are the Lexar 633x 64 GB, Lexar High Endurance 64 GB, Transcend High Endurance 64 GB, and the SanDisk High Endurance 64 GB. Both manufacturers offer their own cloud storage solution that only works with their cameras, and each has a very basic free introductory plan to let you try it out and see if it might be right for you. Pricing seems to be reasonable and varies depending on the number of cameras you have and how long you want to be able to store the recorded video. Both brands also support using FTP to save video, as well as recording to an ONVIF compliant NVR. Both models have a built-in microphone and speaker allowing two-way audio so you can interact through the camera like an intercom. The only real difference here seems to be that the Amcrest has jacks for an optional external microphone and / or speaker if you want. Most people will be using these cameras with an iOS or Android device like a smartphone or a tablet, but both models have some Windows and Mac applications of varying functionality. Push alerts or emails to your smartphone from cameras like these are very popular, letting you know that motion has been detected along with an image or video clip showing you exactly what is going on. Just the other night I was listening to the police scanner and heard officers dispatched when a homeowner was away and got an alert from his camera with an image of people who had just broken into his home! One other feature that the Amcrest has that the other one doesn't are connections for an external alarm input and output. This allows an external device to trigger recording and alerting, or can allow the camera to trigger an external device to do something. Most home owners won't need this feature but some techies like me may find it useful. I think that the Foscam looks a little nicer from the front, but if you look at it from the side or back you'll notice that it has an external antenna sticking out of it, where the Amcrest has an internal antenna and looks a little better in that regard. Both models are available in black and white, with the Amcrest also offering a silver colored model. Amcrest has a one year warranty but comes with lifetime support from their location here in the USA. Foscam has a two year warranty and support from the USA and other countries if needed. Final thoughts - Which one to pick? Both of these cameras usually cost pretty much the same and I think are both a great choice if you're looking for an indoor 1080p camera with the ability to pan and tilt. 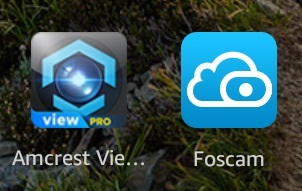 Both get good reviews and come with full-featured apps. It really comes down to choosing the one with the right combination of features for your particular use. If I were to buy one today I would choose the Amcrest IP2M-841 ProHD primarily because of its 4 mm lens, larger 1/2.7" image sensor, more powerful IR LEDs and external speaker, mic, and alarm connections. Someone else may choose the Foscam if other features like a wider angle field of view or other things are more important to them. I don't think you can go wrong with either one and both of these are so much better than the other brands directly competing with them, which I'll be comparing in the near future. Spring 2018 update - here's a couple of the white Amcrest cameras that someone I know bought. Still in the boxes waiting to be installed. When comparing specs you may start to note features like IFTTT, Alexa ect. Also the Amcrest camera Has a setpoint function where you click on a star then change a 3 digit number to the preset you want like you that many. Thanks for the reviews you do! Will either phone app control the camera if connected to a intranet LAN and not the internet per se? I want to have the camera and iPhone hooked to a router in a horse trailer that will let me monitor the horses while in motion. Not interested in using cellular data to acess the Internet to facilitate this. I believe either camera will do what you want without being connected to the Internet, but I don’t have a way to verify that for sure. I would reach out to the technical support contact for the camera that you are most interested in and ask them. Besides hopefully getting the correct answer directly from the manufacturer, it’s a great way to evaluate the tech support and the company before you buy from them.